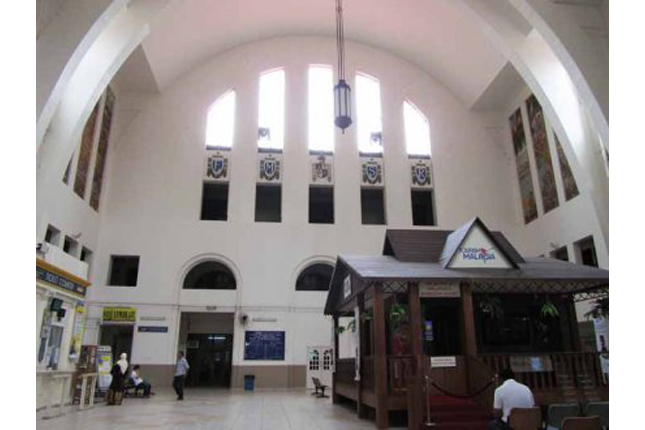 The Former Tanjong Pagar Railway Station was previously the southernmost terminal station of the Federated Malay States Railways. On the day it was officially declared open, Governor of the Straits Settlements Sir Cecil Clementi Smith described the railway station to be ‘one of the nodal points in the whole world’s scheme of communications’. While the stately building no longer serves its original function, it continues to bear testimony to the rapid development of trade, industry, and transport in the colonial period, as well as to Singapore’s historical ties with Malaysia. Prior to the construction of the Causeway in the 1920s, Singapore’s railroads only ran within the island: trains operated by the company Singapore Railway Company connected the town area and Kranji. Tank Road Station, located near the Former House of Tan Yeok Nee, was the terminus. Passengers who were travelling to Malaya had to disembark at Kranji and take a steam ferry to Johor, from where they continued their journey by train. On 1 January 1912, Singapore Railway was incorporated into the Federated Malay States Railways (FMSR, today’s Keretapi Tanah Melayu, or KTM). When the Railway Ordinance of 1918 was enacted, the administration of the railway tracks and all stations was transferred to the Federated Malay States Government. The opening of the Causeway in 1924 resulted in a stark increase in rail and road traffic between Singapore and Malaya. There were discussions to rebuild Tank Road Station to cope with the influx of passengers and goods. Due to certain constraints, however, the plans were scrapped. The British Administration eventually chose a land parcel near the docks for a passenger station, goods depot, and locomotive and carriage yard. The site’s proximity to the harbour also meant that goods from the Malayan hinterland could be transported quickly to feed Singapore’s booming international maritime trade. Three architects from the well-known firm Swan & Maclaren – H. C. Atkin-Berry, Denis Santry, and D. S. Petrovich – designed the railway station. Santry was also responsible for the design of the Cenotaph, Sultan Mosque, and Telok Ayer Chinese Methodist Church. The trio sought inspiration for the new building from existing railways stations in England; Atkin-Berry even visited several English stations for this purpose. Construction of the Tanjong Pagar Railway Station commenced in 1929 under the supervision of FMSR General Manager and Chief Engineer John Strachan. It was completed in 1931. Not only was the new station equipped with facilities such as a bar, hair salon, and restaurant to ensure passengers’ comfort, it also housed a station hotel on the upper storeys of the main hall. The railway station was officially opened by Sir Clementi on 2 May 1932. Strachan pointed out in his speech during the ceremony that the terminus possessed ‘architectural features more worthy of the city of Singapore than the shed at Tank Road’. 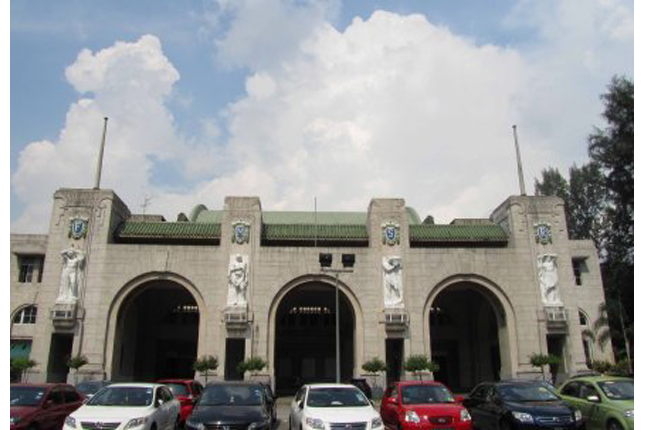 The Former Tanjong Pagar Railway Station was designed largely in the Art Deco style, which was popularised in France after the First World War before flourishing internationally between the 1920s and early 1940s. This architectural style was also adopted for the design of buildings in Singapore that were constructed during the same period, including the Former Cathay Building and the Former Ford Factory. The generous use of stylised flowers and geometrical shapes for decoration, as well as portrayals of heroic human figures, are common in Art Deco buildings. In the case of the Former Tanjong Pagar Railway Station, four large sculptures by Angiolo Vannetti, a sculptor from Florence, Italy, are installed on the front façade. 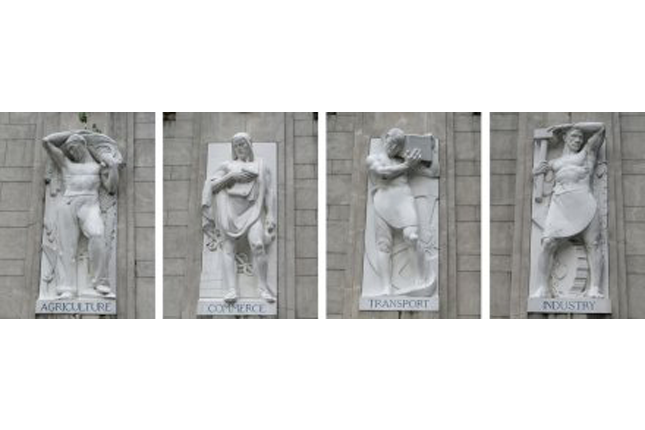 These marble sculptures are allegories of the four main sectors of the Malayan economy: agriculture, commerce, transport, and industry. The initials F, M, S, and R above the figures stand for the Federated Malayan States Railways. The roofs of the railway station are covered with wa dang (瓦当, circular eaves tiles) and di shui (滴水, triangular drip tiles) with stylised characters of the Chinese word shou (寿, ‘longevity’) and Buddhist swastikas decorating their ends. These roof tiles are usually found in Chinese buildings and temples. The use of these tiles on the roofs of the railway station highlights yet another characteristic of the Art Deco style – the incorporation of local architectural elements. The 22-metre-high central hall of the station feels large and spacious without the visual obstruction of supporting columns. Tall murals, made up of approximately 9,000 ceramic tiles, line the interior walls, accentuating the ceiling’s height. Crafted by William Rowe of Doulton & Company (now Royal Doulton), the murals depict scenes of Malayan industries such as rubber tapping, tin mining, rice cultivation, and different modes of transport. The coat of arms of the Straits Settlements and the Federated Malay States can also be found on both ends of the grand hall. The Former Tanjong Pagar Railway Station remained in operation until 30 June 2011. Sultan Ibrahim Ismail of Johor drove the last train out of the station. On the same day, the Malaysian Government returned the land on which the station stands (which had belonged to Malaysia under the Railway Ordinance of 1918) to Singapore, in exchange for other plots in the downtown area. Since 1 July 2011, Woodlands Train Checkpoint has been the terminus for KTM trains.